‘Koffee with Karan’ season 6 driven by Audi will launch on 21st October and air every Sunday at 9PM on Star World, Star World HD, and Hotstar. Audi India, the German luxury car maker, has associated with the ‘Koffee with Karan’ for its 6th season. The brand with four rings is ready to up the glamour quotient with Karan Johar on the forthcoming season of the show, which will feature India’s most famous celebrities. Audi completed ten years in India in 2017 and within this short span, the brand has become one of the most preferred luxury car brands for enthusiasts in the country through a progressive marketing strategy. In the last 10 years, brand Audi has been successfully able to achieve the change of philosophy in the Indian market. Audi is now being perceived as being a global brand that is Indianised – from being known as a ‘brand with four rings’ to ‘char bangdi’ or ‘char chudiya’, Audi has successfully entrenched itself in the Indian pop culture. A large part of this is attributed to a glocal content strategy through effective curation of content types and media channels to bring a sound degree of market disruption in the segment. 14 years ago, filmmaker Karan Johar wanted to create to show unlike any chat show India had ever seen – he wanted fans to see their favorite celebrities let their hair down, reveal secrets and have fun. 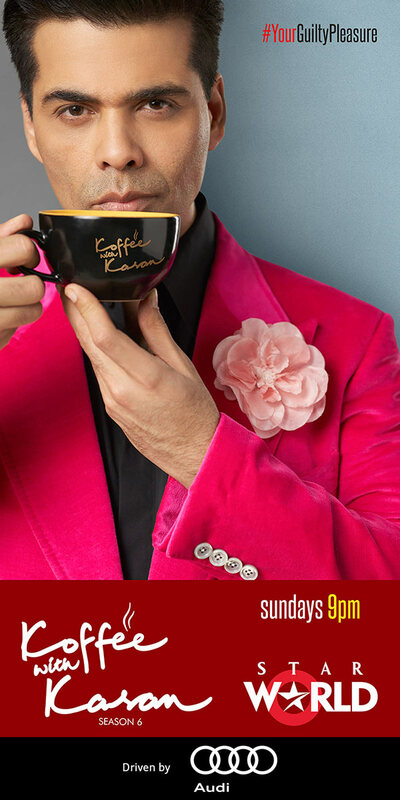 Since then, Koffee with Karan, created in partnership with Star World has become synonymous with Bollywood. The new season will not only bring new and upcoming actors on the couch but will also lead to interesting conversations and fun segments. We are very happy to continue our partnership with a world-renowned brand like Audi. Taking things forward Audi is now associating with Star World’s flagship property – Koffee with Karan. With both brands exemplifying class and style, we see a seamless integration with Audi for the latest season of the show.